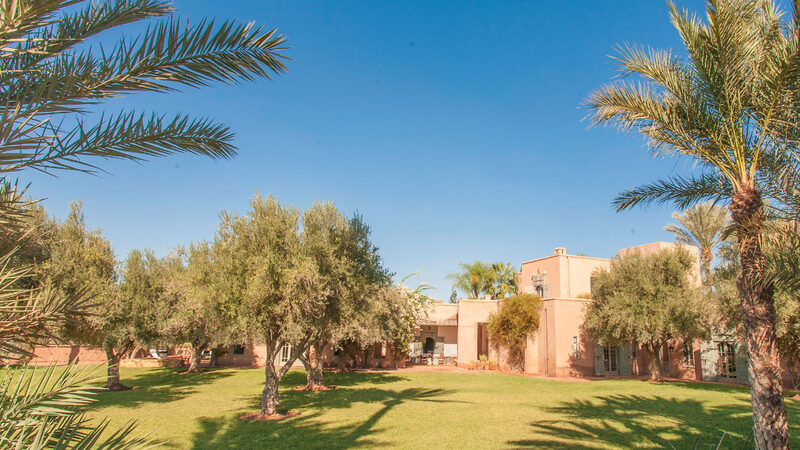 Located in the heart of Dar Tola is a splendid property surrounded by 3.5 acres of land covered with a manicured lawn, palm tress, olive trees and orange trees. 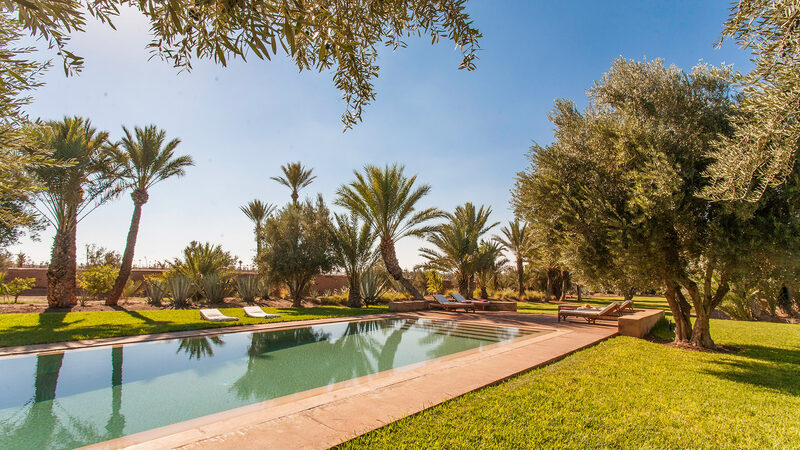 Only 15 minutes from golf courses and Marrakech city centre, the villa offers the quintessence of the Palmeraie experience. 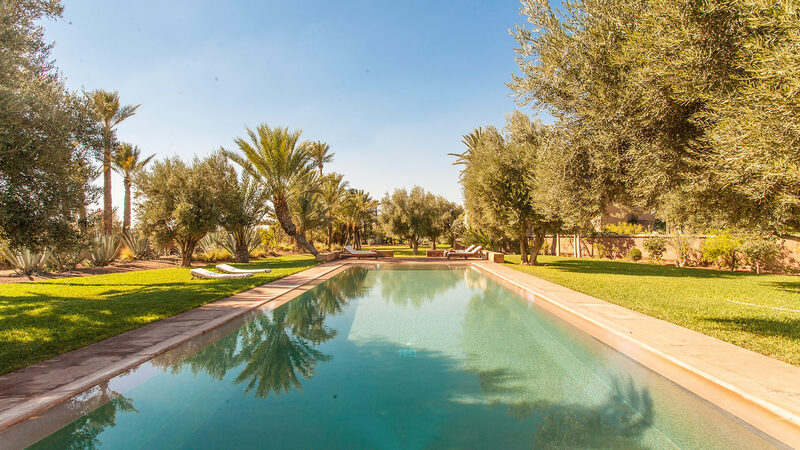 Within its vast landscaped gardens is a private swimming pool (15 x 5m, heated on request at extra charge) and also a tennis court (the tennis court is shared with neighbouring villas). Dar Tola is air conditioned (bedrooms only in the main villa) and the cottage features ceiling fans. The main house is centrally heated during the winter and the garden pavilion is heated with electric space heaters. The property is for rent in a 4 bedroom or 6 bedroom configuration, yet we always guarantee our guests full exclusive use of the property. Minimum stay here is 5 nights (except peak season). 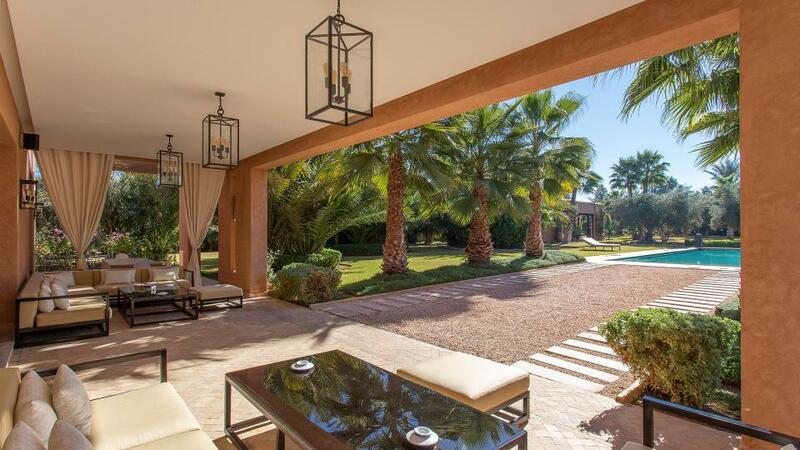 - Lounge with sofas and fireplace, dining room with fireplace, terraces, kitchen, outdoor dining areas. - 2 double bedrooms with king size bed (can be turned into twin) with ensuite bathrooms and direct access to garden. - 1 double bedroom with 4-poster king size bed, ensuite bathroom (bath and shower) and direct access to garden. 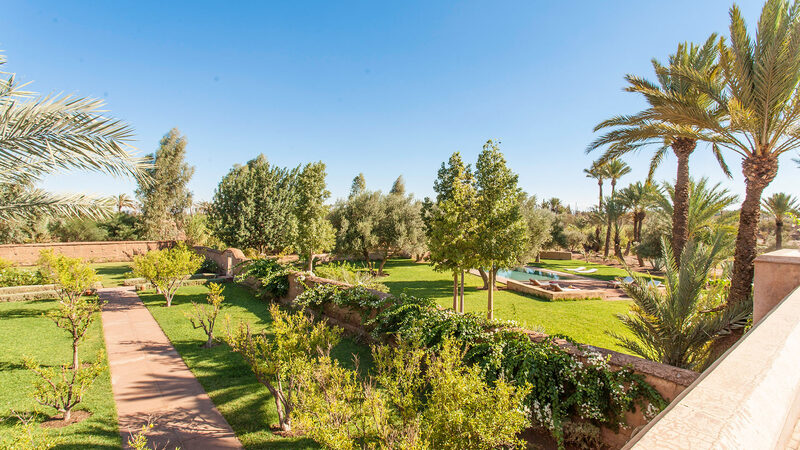 - On the first floor is a master bedroom (king size bed) with ensuite bathroom (bath and large shower) and private terrace with views to the Atlas Mountains. - 2 bedrooms with double beds (can be turned into twins) each with ensuite bathrooms.